Moscow mayor Sergey Sobyanin is forming a working group to discuss with the public Vladimir Putin’s idea of setting up a dedicated place for political rallies in Moscow. Sobyanin’s press secretary told reporters that the official who currently oversees all large-scale political gatherings in the city will head the group. The idea of creating a Moscow “Hyde Park” was voiced by Prime Minister and presidential candidate Vladimir Putin at his meeting with the rectors of Russian institutes and universities on February 14. 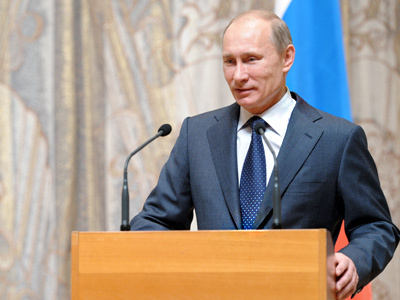 “We should find some decent place like the Hyde Park of our European neighbors, where anyone who has such a desire could speak freely and openly on any subject, with the media having the opportunity to deliver this viewpoint to all citizens of the Russian Federation,” Putin said. “In fact, the place where people gather is not important, what is important is that the country knows their opinion, and the modern mass media can offer such an opportunity to everyone,” he added. Current Russian law requires that any type of street action apart from a single person picket be coordinated with municipal authorities. The coordination of sites for rallies almost always causes fierce debate, and exceeding the planned number of participants is punishable by fines, even at rallies in support of the authorities. 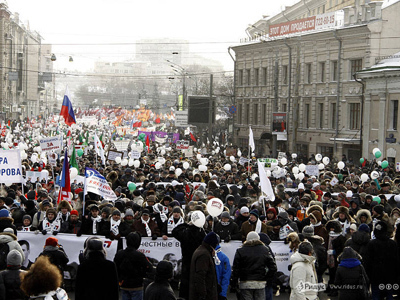 Moscow authorities are currently receiving a record number of applications for political rallies – a city administration official said in a recent interview that if all applications were approved, the capital would see about 20 rallies every day. 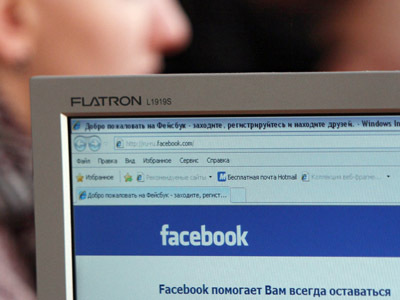 February 23 and 26 are the most popular dates sought by both allies and opponents of the authorities. February 23 is a public holiday in Russia – Defender of the Fatherland Day. 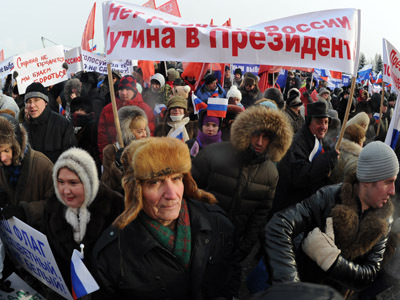 The organizers of the rally in Putin’s support initially planned to march through the city center on that day, but then agreed to move to the less crowded Luzhniki stadium. 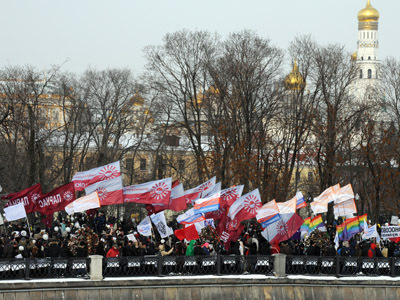 The opposition initially demanded Revolution Square near the Kremlin as their venue, but the city administration turned down the request, citing fears of traffic chaos. The location for their 23 February rally is still being discussed. The situation is further complicated by the fact that February 25 and 26 will see massive Shrovetide celebrations.